For newer SonarQube versions, Verifysoft provides a Testwell CTC++ add-on (ctc2cob) which converts Testwell CTC++ coverage reports into Cobertura XML reports. This way Testwell CTC++ can be integrated into Jenkins and SonarQube, as well as into almost all continuous integration (CI) servers, which support Cobertura. 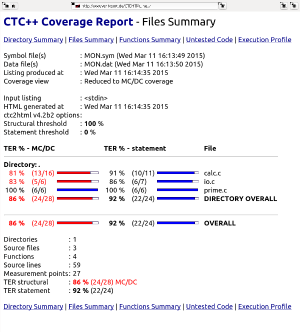 Thanks to the ctc2cob add-on, Testwell CTC++ users have an overview of the trend of code coverage in automated environments. The integration in Jenkins allows for automatic e-mail notifications, automated builds, as well as for automated checks of Git commit policies concerning the code coverage. As soon as the build process is done, the Cobertura plug-in shows the results in Jenkins as a code-coverage-trend. Further information about the ctc2cob add-on is available here (pdf). 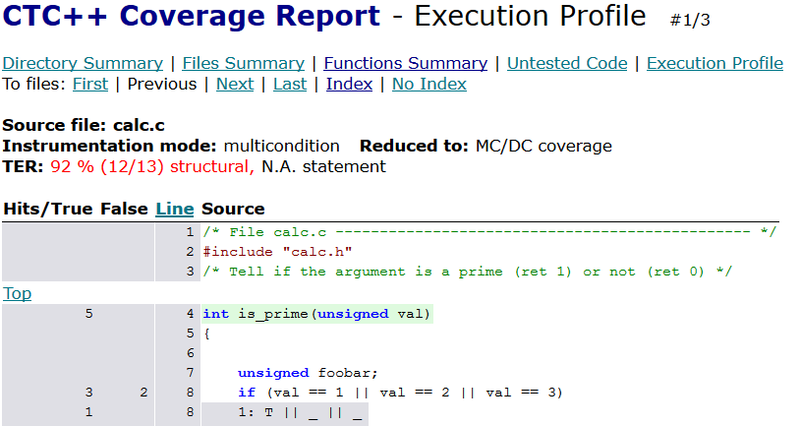 SonarQube™ is an open-source-platform for source code analysis. The plug-in allows you to import the code coverage information from Testwell CTC++ into the SonarQube database and its visualization within the SonarQube web interface. It is possible to import the data of all coverage levels (up to MC/DC and multicondition coverage) analysed by Testwell CTC++ into SonarQube. Testwell CTC++ and the SonarQube plug-in can be used for source code written in C, C++, Java and C#. The plug-in allows to import Testwell CTC++ reports in the existing widgets. A separate widget is available for the central administration of HTML reports. It is possible to jump directly into the corresponding HTML-reports. Figures 1 + 2: By clicking on the button in the SonarQube-Treemap you get the CTC++ report of the respective file. Thanks to the Testwell CTC++ SonarQube plug-in, the CTC++ coverage metrics can be used to show the evolution of the test and development process over longer periods of time. Invasive Mode is an other feature of the SonarQube plug-in. Using this mode, the Testwell CTC++ metrics are directly shown in the SonarQube coverage view. The plug-in has been published under GPL3 license. 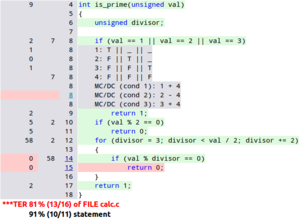 The source code can be seen. Suggestions and wishes can be submitted via the Issue Tracker. Download and user-manual of the SonarQube-plug in. 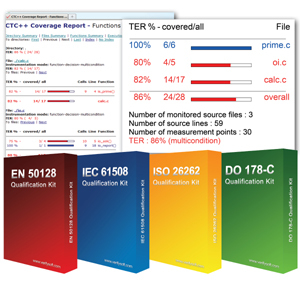 Testwell CTC++ is the leading Code Coverage Analyser for embedded C and C++. Testwell CTC++ is integrated in many tool chains and testing environments. Please check here for further integrations of Testwell CTC++.